Ambrane Calling King AC-7: Fixed up! Ambrane launches the fixed-up, new and a much better calling Tab under its hit series, the Calling King. Ambrane AC-7 is the new addition to the family which is actually a “mended” version of the older Ambrane AC-770 model, for the latter posed some problems time and again which was cropping some resentment among the customers. So, the manufacturers made sure they took up this in time and come with something which is hassle-free for all sorts of Tab functions, within its real limits. 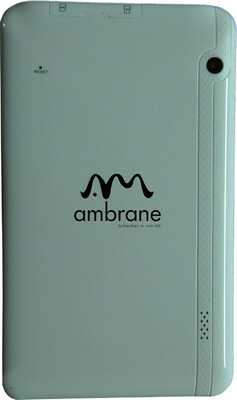 Specification wise Ambrane AC-7 is an exact copy of it’s previous/parent model, the Ambrane AC-770. Having said that, this Tab is quite noticeably much better than the previous one.